Lighting is such an important element in any room: not only does the light provide needed illumination, it draws your eye, causing the fixtures to become powerful sculptures, enhancing your designs. 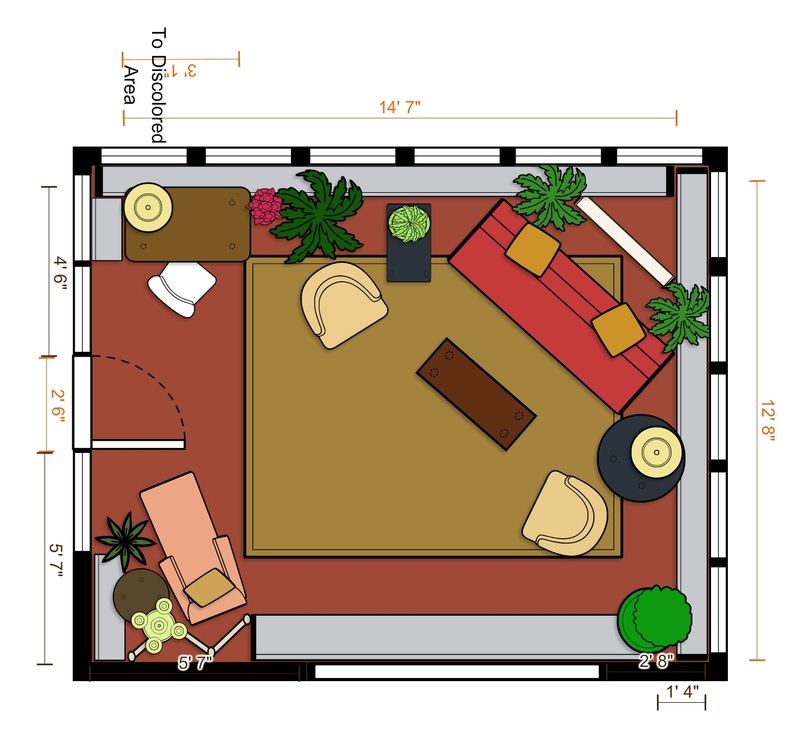 Well, now we finally have a floor plan for the Designer House Sunroom. the main seating area in the far right corner. So I began thinking more about the lighting in the space. Lighting is such an important element in any room: not only does the light provide needed illumination, it draws your eye, causing the fixtures to become powerful sculptures, enhancing your designs. I know that in a previous post I mentioned the ceiling fan has got to go! I’ve really been brewing about what to put there. The current fan is at eye level when approaching my space from the kitchen, and visitors will get an eyeful of whatever I put in its place. I don’t want anything that hangs too low, since people will have to walk beneath it, but I DO want something impactful. So in keeping with the fun, edgy look I’m promoting with a mix of vintage and modern, I’ve decided to use this adorable capiz shell fixture in the center of the room. A cascading capiz shell light fixture will be front and center in my Bucks County Designer House Sunroom. Next I turned my thoughts to the corner with the Duchesse Brisee. My intention is for this to be a reading corner, so lighting is important. I could use a floor lamp or some other type of portable fixture, of course. Instead, I’ve decided to do something creative and use a vintage 1960’s chandelier suspended from a floor stand. 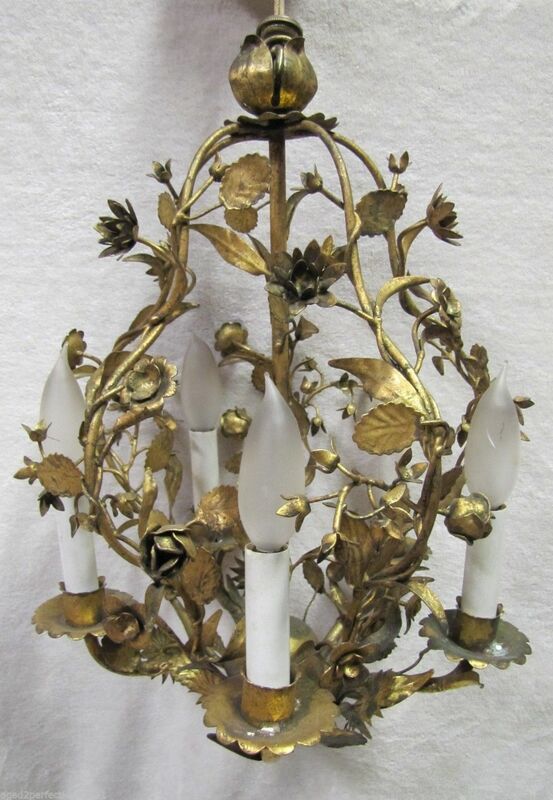 I found an adorable vintage chandelier, similar to this one, but with the cutest glass acorns dangling from the gold leaves. It will look terrific hanging above a small table next to the Duchesse Brisee! I also have a terrific large stone lamp with a black shade which I think I’ll use on a side table in the main furniture grouping. The stone baluster will speak to the garden room theme and will fit right in with the mood. I also need to figure out a lamp to put on the desk in the corner by the door. But things are really coming along, don’t you think? This entry was posted in Bucks County, Decor, Designer House, Interior Design, Sunroom and tagged Bucks County Designer House, Ceiling Fan, Chandelier, Decor, Decorating, Design, Finishes, Lamps, Light Fixture. Bookmark the permalink. 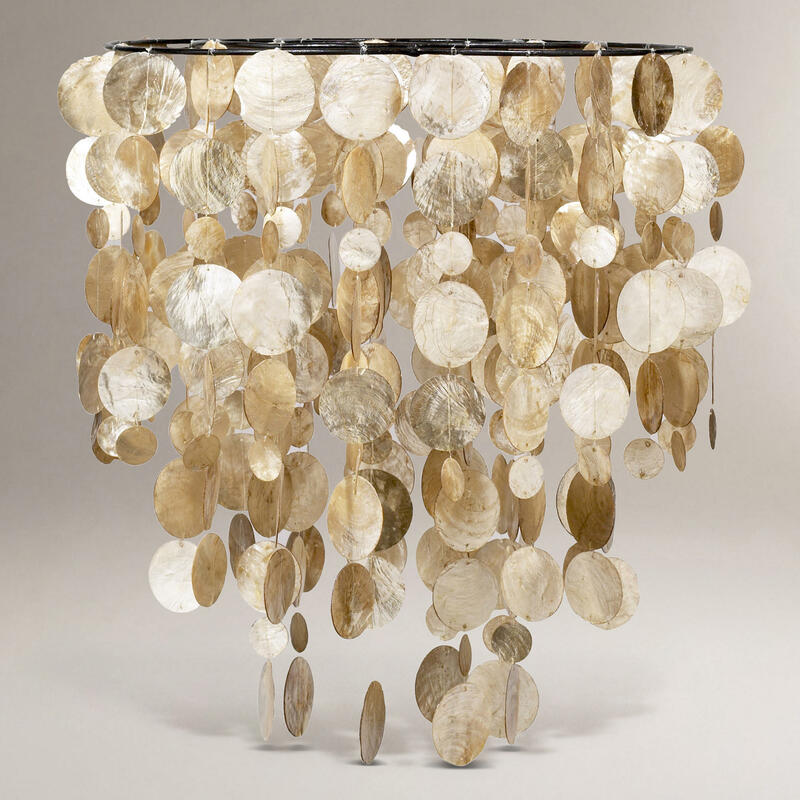 I LOVE the capiz shell lighting fixture, Kristine! I also appreciated your explanation of the various reasons that lighting is important, above and beyond what we normally think of. Are you saying the chaise would be facing the main seating area – not like the drawing, facing the door? Then I give my unsolicited thumbs up, lol and I love the light fixture too!! Actually, I do want the chaise (2-piece duchesse brisee) facing outward to enjoy the views of the pond and grounds. It will be its own little reading lounge in the corner with books and the dressing screen behind. LOVE the lighting plan Kristine! You are really knocking it out of the park with this. That capiz fixture is going to be perfect, and I love the vintage chandelier for the reading corner is also really pretty. Love the way this is all taking shape.